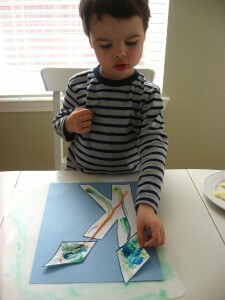 Kite K is a very classic letter of the week activity, not my most creative but my son enjoyed it. We decided on it because the wind has been strong and even caused some power outages last week in our area. 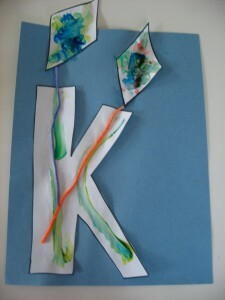 So we talked all about it and when deciding on a letter craft to make settled on Kite k! 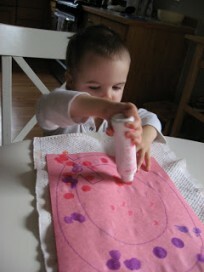 If you want to make this activity last longer you can add bows along the strings, and wind swirls on the blue paper! 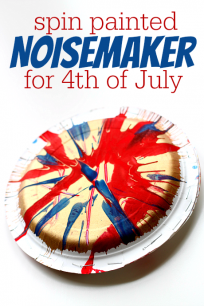 Don’t forget to take the time when you are making this to brainstorm K words with your child. Ours this week were Key, Kick and Kitten. Gather your materials. 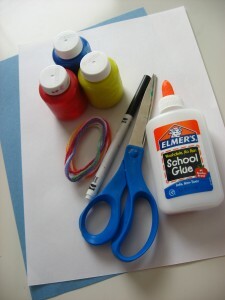 You will need a 2 pieces of construction paper, some paint, scissors, some yarn/string or thin ribbon, glue and a marker. 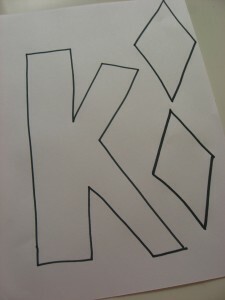 Start by writing a lowercase k on your paper, also make some diamonds for the kites. 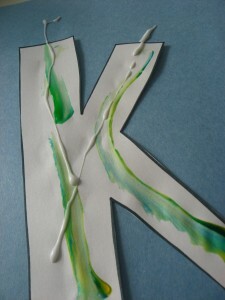 Invite your child to paint the k and the kites however they want. 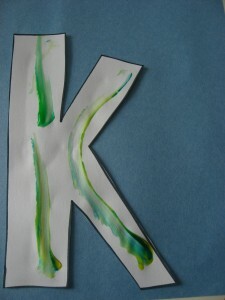 Cut the k out and glue onto the 2nd piece of construction paper. 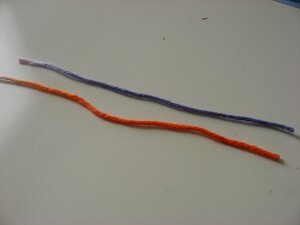 Cut the yarn into 2 strings. The Very Windy Day by Elizabeth MacDonald is a funny story about how everyone walking on North, South , East and West streets had their belongings mixed up by the wind! Hats , blankets and even food gets passed along from one person to the next in this silly story about a windy day. My son was entertained by this book but didn’t ask to read it again after our initial reading. 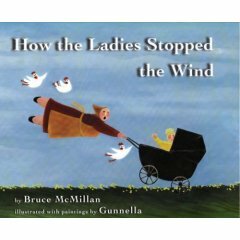 How the Ladies Stopped the Wind by Bruce McMillan is a charming story that is reminiscent of a folk tale, about ladies in Iceland ( with the help of their trusty chickens) who decide to plant trees to stop the wind. Unfortunately it’s not as easy as just planting some trees as they soon discover. 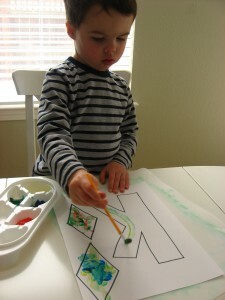 There is some fantastic bits of humor for parents and amazing illustrations! This was a great library find that I laughed my way through. Want even more letter of the week ? 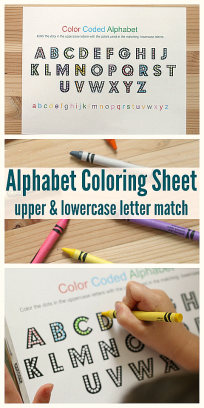 Check out my eBook “Alphabet Crafts” from A-Z it’s packed with letter crafts and helpful teaching tips for getting your child excited about letters and learning! 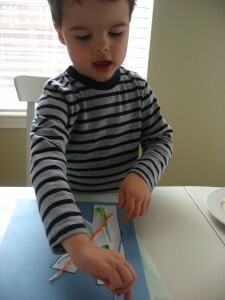 Next Post: Spring Sensory Tub ! That “How the Ladies Stopped the Wind” book looks too cute! I’ll have to look for that at our library! “How the Ladies Stopped the Wind”! Must have that book-Amazon here I come! My favourite book about wind is Amelia Ellicott’s Garden written by Liliana Stafford and illustrated by the amazing Stephen Michael King. It is such a beautiful story about an old lady who lies alone by a block of flats. She keeps chickens and one day there is a huge storm and the wind whips away her chickens and most of her backyard. The story is also about community and getting to know your neighbours, as all the people living in the high rise flats rush to help her recover all the things that have been blowen away. .-= Lou´s last blog ..Dark Night =-.